Product #2996 | SKU LPE8 | 0.0 (no ratings yet) Thanks for your rating! 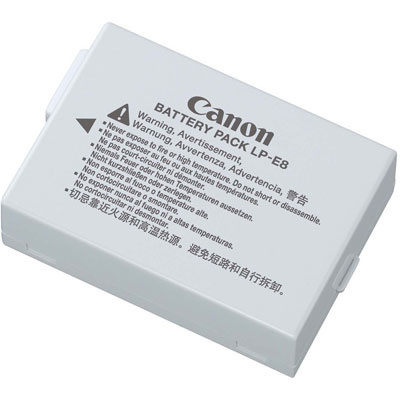 Li-Ion battery pack for Canon Digital Rebel T2i / Canon EOS550D. The Canon LP-E8 Rechargeable Lithium-ion Battery Pack has a capacity of 1120mAh, making it possible to shoot many photographs with your Canon EOS 550D, 600D, 650D or 700D digital camera on a single battery charge.